The average per month cost for Charlene Manor Extended Care Facility is estimated at $9,479. This is above the $8,134 estimated cost for the city of Greenfield. While the nationwide average cost is around $4,978, the State of Massachusetts is around $7,745 each month. Charlene Manor Extended Care Facility is located within Greenfield, Massachusetts. They provide senior living in a 123 unit housing facility for elderly people.The zip code of 01301 in which this community is location is a predominantly middle class area. It has an average per-family income of $47,833. It has a medium-density population, including approximately 17,700 residents in the neighborhood around the community. This facility is centrally located, with retail shopping, houses of worship, and medical facilities all in a short distance. They are just 1.6 miles from Baystate Franklin Medical Center. There are 12 churches within 4 miles, including Church of Jesus Christ of Lds, Second Congregational Church, St James Episcopal Church, and All Souls Church. There are also 8 drugstores within one mile of the community. 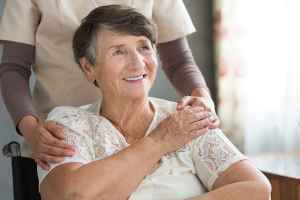 Charlene Manor Extended Care Facility offers the following types of care: Alzheimer's care, assisted living, and nursing home care. They can care for people who are dealing with Alzheimer's and who have trouble with day-to-day chores, and who need close care on a routine basis. 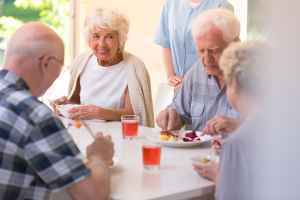 Also, they can accommodate individuals who are mobile but may require some assistance with completing day-to-day tasks like bathing, meal preparation, and house keeping. 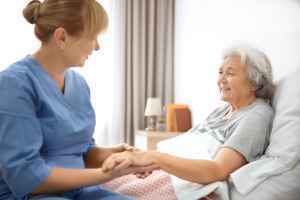 In addition, they can offer care to people who can not live alone and require a high degree of monitoring and medical care. They have many amenities and services available to their clients. For example, they have a selection of fun activities including health and wellness programs, arts and crafts , daily exercise programs, off-site outings, and general communal interactions. Additionally, they offer different meal selections that include vegan and vegetarian options, low sodium options, and Kosher options. They also offer several room amenities such as central A/C. Charlene Manor Extended Care Facility has been serving Greenfield for 28 years and they are licensed with Medicaid as well as Medicare. They obtained a cumulative score of 2 out of 5 stars in the most recent rating by Medicare, based on a collective measure of personnel evaluations, overall quality, and safety inspections. During this period they had the following: 1 fine applied totaling $10,238, 0 payment denials, 1 total penalty applied, 9 deficiencies reported, and 0 complaints reported.